If you follow me on facebook, twitter, or instagram…which I highly recommend :), you probably noticed that I post a lot about MyNKY! You might even remember the post I did about it way back when (read it here!) or you might notice the MyNKY banner in the side bar! But if not, or if you’re new here…MyNKY is a 6 month campain to let our voices be heard and our opinons counted! If you live in NKY and want to make it better, here’s your chance! The campaign is just about up, so if you haven’t taken a poll, or emailed your ideas, or played the game…DO IT TODAY! Another way MyNKY is tracking your voice, is with this fun bubble. You can get yours here. Just print it off, write what you want in your NKY and take a pic! 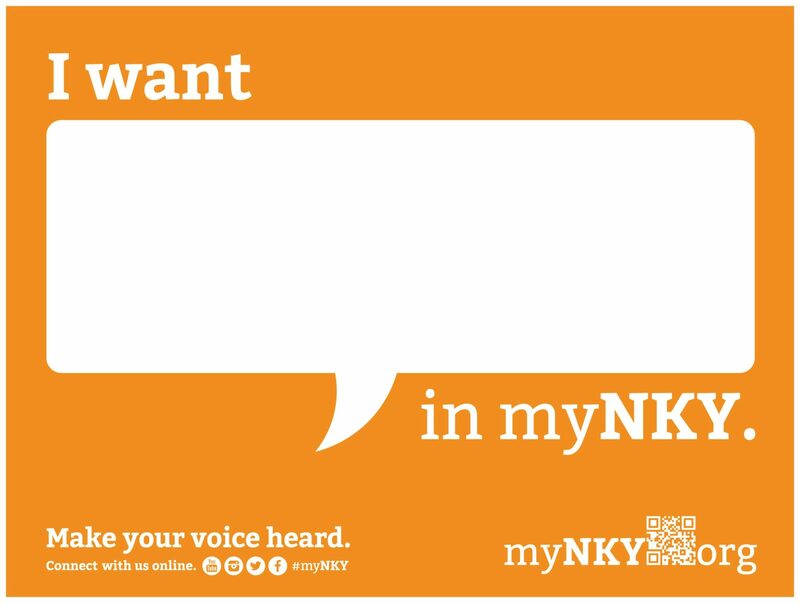 Upload it to twitter or instagram and tag #mynky. Other than a Whole Foods and a yagoots…I would love some water spray parks in NKY! The boys had one thing on their minds when we were making our bubbles…Tree houses! Not just any…a red tree house! haha I guess we just want more outdoor family friendly parks! So what do you want? It’s getting down to the wire…fill out your bubble!